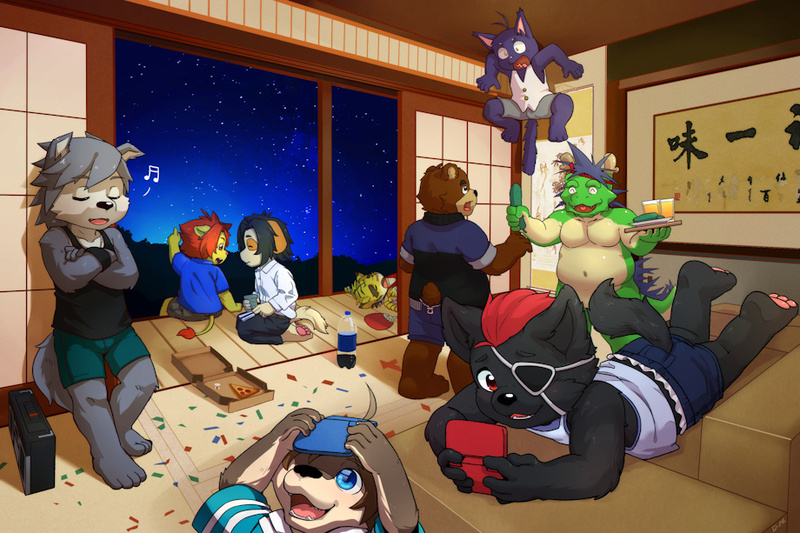 Haha seems like it was a nice party! love how that dude is passed out partly behind the walll, hmmm is something going on back there i wonder and that cat scared of a pickle bit lol! A cat can think of cucumber as a snake, then he learned how to fly.